A few Memorial Days ago, I was sitting comfortably on my sofa, enjoying salty snacks and a refreshing sweet tea while watching a program honoring our military on TV. Mary would inform me when the charcoals were ready to throw on the steaks. Life was good. 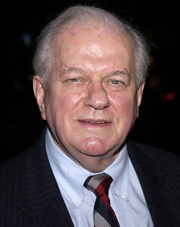 Featured in the TV program was Veteran actor Charles Durning, who was a U.S. Army Ranger during WWII. Durning won the Silver Star for gallantry and was awarded three Purple Hearts for bravery at Normandy. Despite his remarkable achievements and sacrifices for freedom, still moved after all these years, Durning humbly stood at the podium and wept for his fallen brothers. Wow, do they make real men like Durning anymore? After the TV program honoring Durning and other American heroes, the program that followed honored great American conscientious objectors. Folks, it was quite annoying watching these guys, conscientious objectors, being portrayed as superior human beings while pontificating about the evils of war and why they chose not to participate. I thought, "You guys are free to enjoy success, freedom and spout your crap "in English" because brave men like Charles Durning fought on your behalf. How dare you!" Almost a year ago, musicians, singers, and bands across America responded to my call to come together to record a song titled Taking Back America and donate their recorded songs for an album to celebrate America, honor our military, and benefit the families of those who have made the ultimate sacrifice: AmericasMightyWarriors.org. The response was overwhelming. From country music to rap by a black conservative, and every genre in between, we selected the best 44 songs from hundreds of submissions. Jo Piazza at FoxNews titled the project Tea Are The World. Now, here is the truly heartwarming divine providence aspect of the project. We had no money for recording, manufacturing, distribution, or marketing. When asked about such details, my response was, "I don't know?" I felt God only instructed me to put out the call to musicians. He did not fill me in on how it would all come together. Remember the old Mickey Rooney and Judy Garland movies? In the films a character would say, "Let's put on our own show!" Another character would say, "That's a great idea! My uncle has 500 chairs stored in his garage." They would rally together and put on an amazing production. Tea Are The World pretty much came together the same way. Get this folks, around 100 musicians across America flew or drove, on their own dime, to Deltona Records in Florida to record Taking Back America. Emmy-winning TV producer Norvell Rose informed me that he and his son, Conner, would be coming down from Virginia to attend the recording session to produce a music video and "Making of Tea Are The World" documentary — all for FREE. Both are included on DVD in the Tea Are The World package. Deltona Records owner, music producer, and engineer Frank Starchak is famed for recording Tupac Shakur and numerous other celebrities. Starchak recorded and produced the 100 musicians singing Taking Back America. Starchak also mastered the 44-song double CD set included in the Tea Are The World package — completely FREE of charge. Professional distributor Tom Horn offered to distribute Tea Are The World FREE of charge. Singer Lisa Scott Kelly and Debbie Lee, founder of AmericasMightyWarriors.org, shook the trees and found funds for manufacturing, which was our only expense. Everything has been donated. Rev. Minion told me how his wife Danielle, a professional graphic designer, got involved. Upon hearing about Tea Are The World on the news, Danielle said, "Honey, I feel I am supposed to help these people." Danielle Minion designed the Tea Are The World package and promotional materials. She did all of the production artwork work needed to prepare the package for manufacturing. Danielle donated her services FREE of charge. Now here is the kicker, after Danielle committed to our project, she became pregnant. Of her three pregnancies, this one has been the worst — sick almost very day. Then, Danielle's files of the project became corrupted. Rev. Minion said in Danielle's years in the business, never have so many things interrupted her completing a project. Folks, I am pleased and grateful to announce that Tea Are The World is completed, beautifully packaged, and available for purchase. Praise God. Please do not think I am dissing other fundraisers. I am simply stating a fact. With some, when the dust clears, as little as 10% goes to the charity. 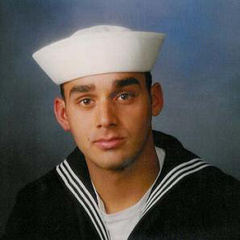 100% of the proceeds from the sale of Tea Are The World go to AmericasMightyWarriors.org, which benefits the families of our fallen soldiers. Because of the sacrifices of our military, which include brave women and men like Charles Durning and Marc Alan Lee, we are blessed to enjoy Memorial Day cookouts with our families. Please remember the families of our fallen soldiers: AmericasMightyWarriors.org.